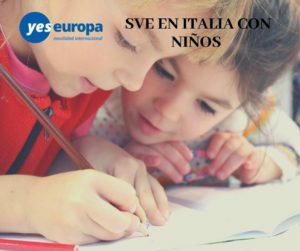 Te traemos esta nueva oferta de servicio voluntariado europeo Italia para trabajar en un instituto en el sur de Italia. 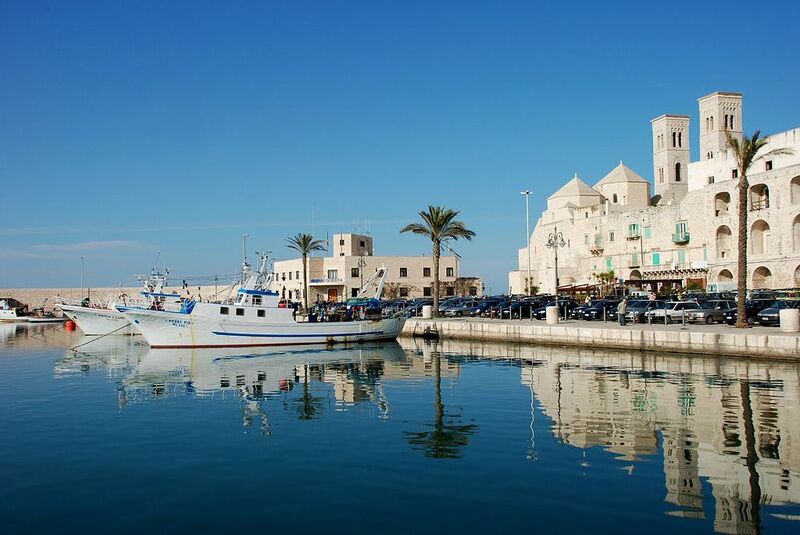 Molfetta and Ostuni are located in the heart of Apulia Region in country and sea side, far from the regular touristic destinations. The Village is located on a green hill overlooking a wide expanse of olive trees. It is about 500 meters from the centre of Ostuni, a town in the province of Brindisi (Puglia region), which rises with its white splendour on three hills 6 km far away from the Adriatic coast. Volunteers will be hosted in the same residence immersed in the typical green of Puglia region and still very close to the town. The structure consists of 8 family houses, a house for the volunteers and many common spaces for sharing convivial moments and socializing. Villaggio SOS di Ostuni is a member of the ‘SOS Kinderdorf International’, the largest private organization in the world that assists children in need regardless of race, nationality, religion and political orientation since 1969. The main objective of the Villaggio is to temporarily welcome children with problematic family situations. The organization aims to ensure every child a warm and intimate atmosphere, able to foster the positive development of relationships, to create situations of psycho-physical well-being and to experience family-like dynamics indispensable to the personal and social growth of each one. • organization and implementation of educational and leisure activities: games, sports, cultural activities, music workshops, painting, excursions, etc…. • acquire a new language and social skills. 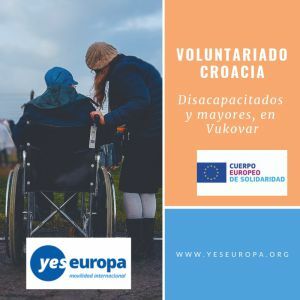 The volunteers will be accommodated, either in a single or in a shared room, in one of the two apartment of the Village. Both studios are equipped with a bathroom and a mini-living room equipped with TV and Internet connection. Close to the studios there is a kitchen where they can prepare their meals. As a volunteer you don’t need to worry about your expenses, because there you can find everything which is needed thanks to the Villaggio. Of course, you comply with the applicable rules of coexistence in the structure. The environment, in which you will operate, will be the houses and the Youth House, which means that you will be most of the time in those structures. Thanks to that, you don’t have to use any transport device. If you need to travel because of work reasons, tickets will be provided to you. The population of Ostuni is of about 33,000 inhabitants and triples in summer, as the town is an important tourist centre known throughout the world. 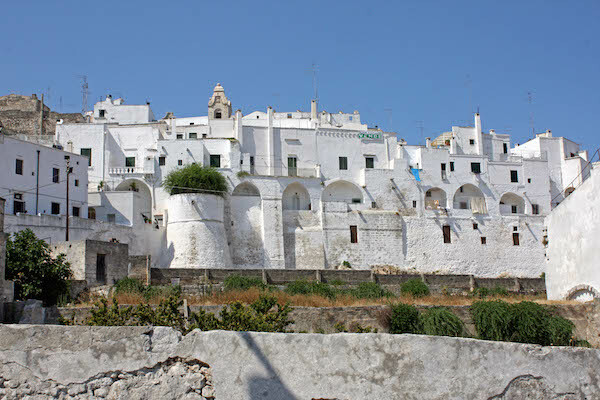 Ostuni is also known as “White City” because of the quaint old town that was once painted with white lime. It is most famous for the clarity of its waters and the beauty of the coast. That’s why over the years received numerous national and international awards. The economy has always been based on agriculture, especially on the production of olive oil. 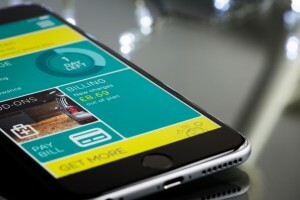 In the last decades it has also the tourism sector is getting more and more important: many hotels have been built in the town, along the coast and in the countryside. The city, especially in summer, is rich of recreational opportunities for young people and has become a favourite destination for tourists who choose to spend their holidays in Puglia. There are also adequate sport facilities: two sports halls, a stadium for football and tennis courts. There is also a cinema and a theatre, and the important Museum of Pre-Classical Civilizations of Southern Murgia that houses, among other findings, the skeleton of a woman with the foetus (unique case in the world) dating from about 25,000 years ago.Moreover, there is the Youth Information: an important youth centre where you can find opportunities to study, work, do an intership or volunteering in Italy and abroad. We would like to meet candidates extremely motivated and creative, eager to work in a high school with students up to 19 years old. 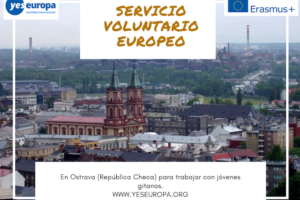 Therefore volunteers need to be over 18 years old, in addittion should be open minded, able to carry out personal initiatives, new ideas and suggestions. Candidates with light knowledge of italian language and artistic skills will be prioritized. The school is a lot committed with music, art, theatre, etc… This call is open only to Programme Countries. 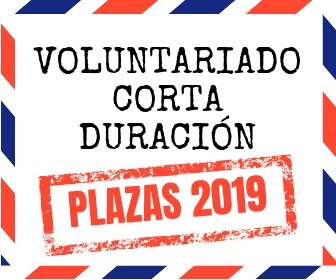 Hola, soy peruana y me gustaria saber si hay posibilidad de hacer ese voluntariado. hola, es solo para residentes legales en España lo sentimos! 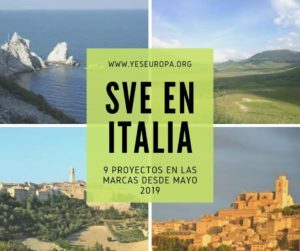 Hola, busco un voluntariado sobre Medio Ambiente en Italia u otro país miembro de la UE, podríais echarme un cable? 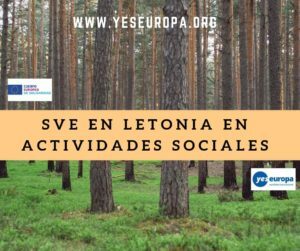 hola solo puedes participar si eres residente en España! Hola buenas noches. 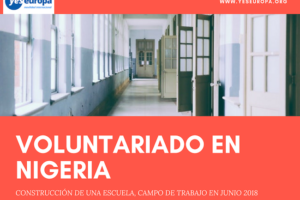 El voluntariado son obligatoriamente los 9 meses o puede acortarse el período de participación?